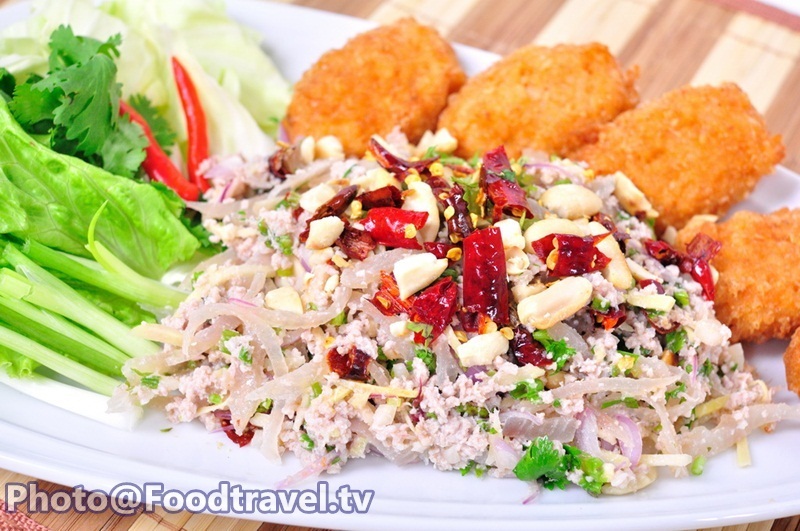 Khao Thod Nham Sod - This menu has spicy flavor and has similar taste to spicy salad(Yum). 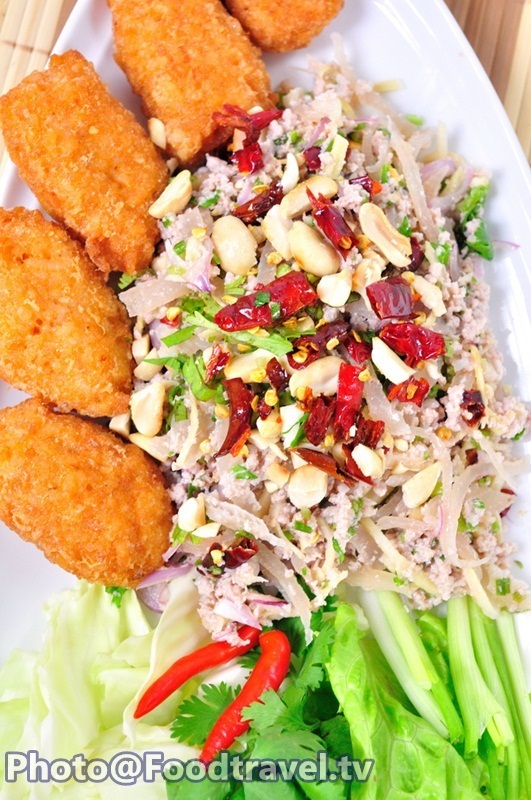 ‘Khao Thod Nham Sod’ made from stirred pork, mixed with pork skin, ginger and shallot. Season to sour, salty and spicy taste just a little. 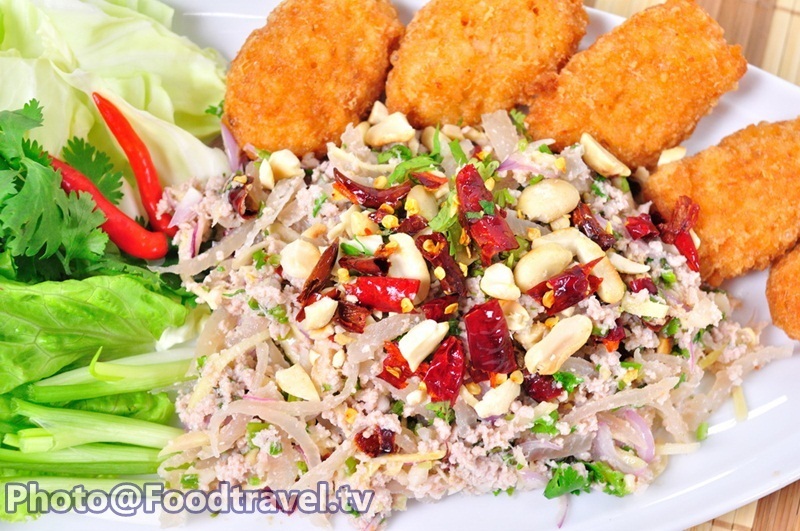 Eat with crispy fried rice and side dish vegetables. 8. Fish sauce 1 Tbsp. 11. Garlic (pounded finely) 1 Tbsp. 17. Spring onion 2 Tbsp. 21. Fish sauce 1 Tbsp. 1. 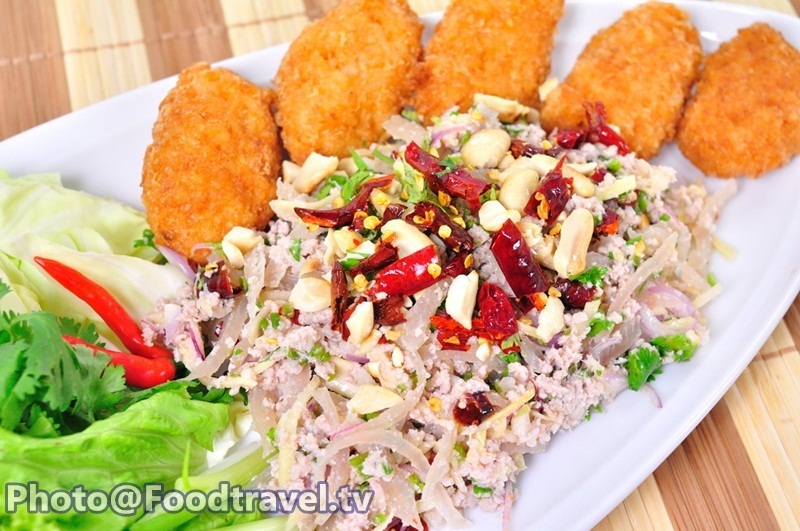 Crispy Fried Rice – Pounded spices finely. Mix with cooked rice, fish sauce, egg.Mix until well combined. Mold into small oval. Set the pan over medium heat. And mix rice into the flour, fry in oil over medium heat until golden crisp. Drain oil. 2. 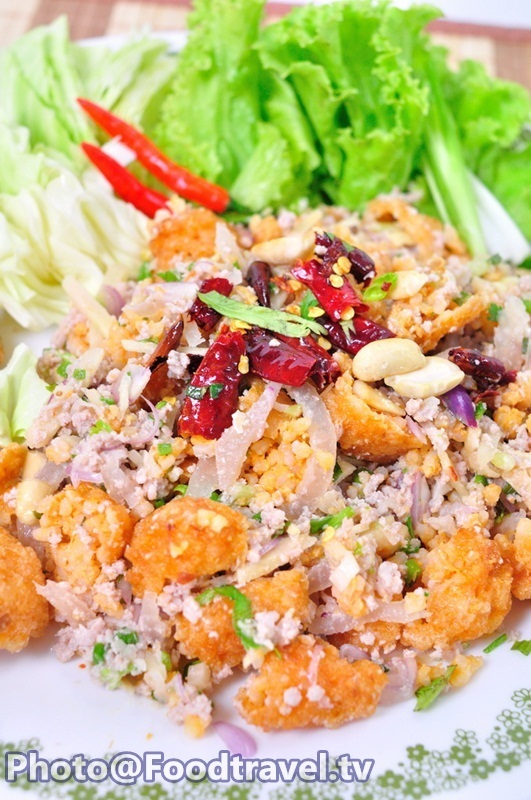 Nham – Add pork into a mixing bowl, pounded garlic, salt and mix together. Then add lemon juice and knead to combine. Stir until cook just right in a pan. Pour into a mixing bowl, then pork skin, season to sour and salty. Add ginger, shallot, spring onion, coriander and mix together. 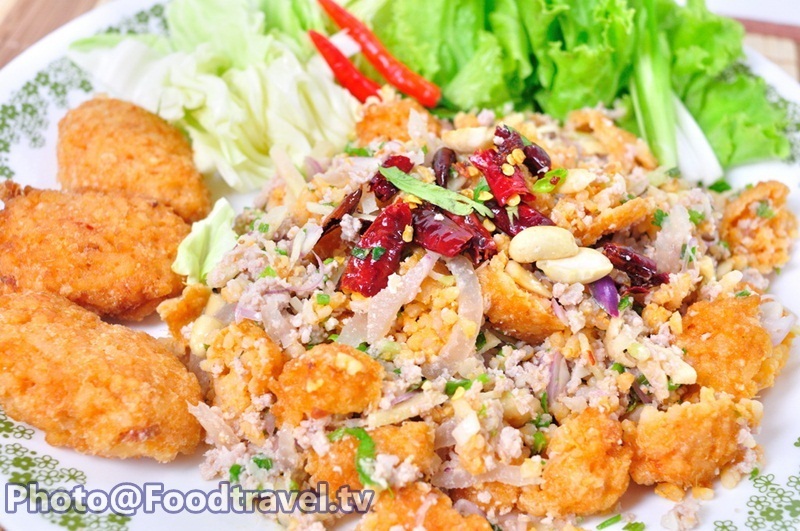 Sprinkle with hot chili, ground peanuts, and fried chili. 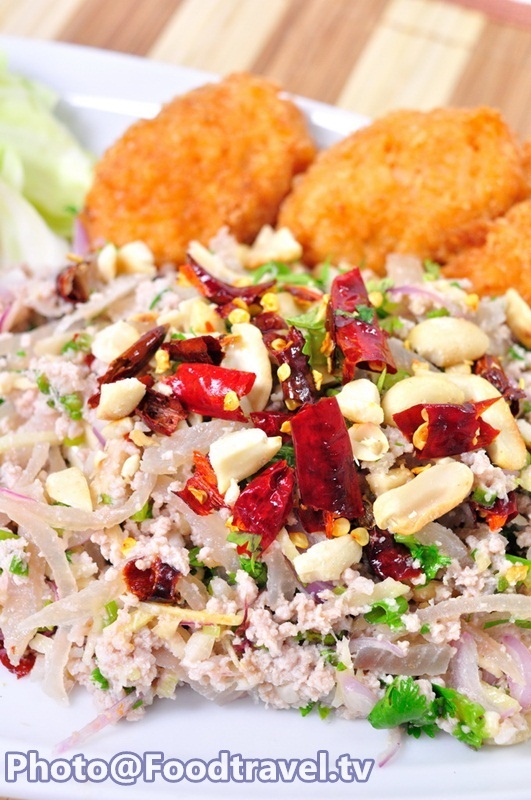 Decorate dish with spring onion, coriander. 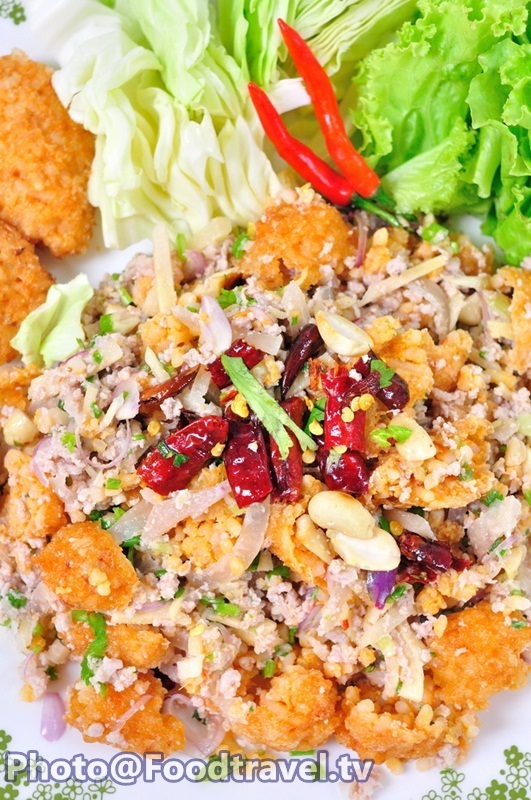 Eat with crispy fried rice and fresh vegetables.